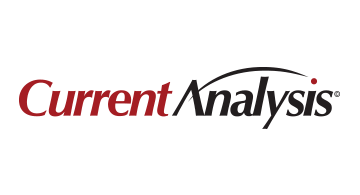 Current Analysis is a leading provider of timely, practical market intelligence and advice that helps global IT and telecom professionals compete, innovate and improve performance. For over 15 years, our independent experts and proprietary services have empowered fast-paced companies to quickly identify opportunities to drive growth and market leadership. Relied upon as an unbiased and trusted partner, Current Analysis serves more than 35,000 professionals representing over 1,400 enterprises. Headquartered in the Washington D.C. metro area, we provide global reach with offices in Paris, London, and Singapore. Learn more now at www.currentanalysis.com.